For a city currently thriving on business investment, the hotel market has been a bit slow to develop, but Park Inn by Radisson Katowice is good news for out-of-towners looking for accommodation to be less of an adventure. If you've stayed with the world's biggest hotel chain before, chances are you haven't enjoyed it this much. That's due to the same familiar high-quality rooms and amenities (including recently expanded conference and fitness facilities, a library and car park) being boosted by the absolutely excellent Restauracja Kuchnia Otwarta. 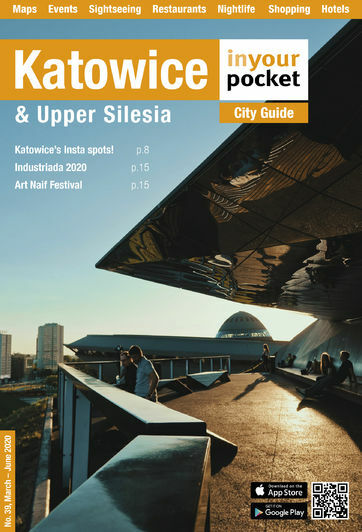 The location near Silesia Park puts you within easy striking distance of Chorzów, Katowice and Siemianowice Śląskie while being beyond the hubbub of all three, and makes this a great location from which to experience the best of Silesia. Located inside the Park Inn by Radisson, the creatively monikered Drink Bar offers an ideal place to relax and take a load off, whether it be via a coffee and the international press in the morning, or a cocktail and a little conversation after work.